12 January 2016 by . I’m sure that you have had a good Christmas holiday; now we are in the new year. I hope you will continue your path and welcome the graces that will be given to you during this year; they will be abundant. I have chosen the title “Following the key points” for this reflection. On 5 January of this year we have received a message from St. Michael the Archangel in which he announces the evangelisation of the low universe in which the Earth will also be involved. I would like to make an introduction to explain one special question: how can prophecies be verified? The prophecies are recognized as true, on the level of the individual spiritual path and of the community, in the moment when they fulfil. We all know from the Gospel that those who followed Jesus Christ receive confirmation of the events within themselves. That confirmation transforms and leads the person towards the understanding of the mysteries; the mysteries open up and the people begin to see the events in the right light. The exterior aspect of prophecies is that they fulfil. All prophecies of God fulfil according to God’s designs in the manner and at the time God has determined. Those who do a spiritual journey – the Church too – have to make sure that they are proceeding in harmony with God’s wishes and are not doing wrong, incomplete steps. Thus, the prophecies cannot be verified at the time or in the moment in which we wish they would. This message of St. Michael has not magically fallen from heaven; it is not the product of human imagination either. It is part of the series of events we have shared with you especially in the book “The Universe and Its Inhabitants” which began with the apparitions of Our Lady in Fatima a century ago, followed by crucial events for the humanity of the Earth, especially those from the great Jubilee of Christianity in the year 2000 until now. The events we have shown you and the extraordinary instruments are part of the plan of God because the Earth is fragile, weak and full of actions of the spirit of evil. Therefore, I would like to repeat the last events linked to the message of St. Michael so that you get an overview and may see that certain events that were announced a long time ago have actually taken place. Since the humanity of the Earth is having a hard time, Lucifer wants the world war; as he is unable to trigger it, he has decided to create terrorism, and today we can see it with our own eyes. This had been announced and is now fulfilling. So, it is very important that we propose the message of St. Michael in this context, and then we will explain the key points. he invited the Catholic Church to proclaim to the world the existence of life in the universe without hiding the truth anymore. he finally called on the Catholic Church to proclaim with conviction that Christ is Lord even though such an announcement might prove inconvenient. On 25 May, 2013, Our Lady turned to the Church. Her words conveyed a clear idea of Her apparitions in Fatima and in Medjugorje and what God would have wanted to achieve through them. She reminded the Church of the necessity to make a choice: to announce or not the presence of other brothers and sisters in the universe. In case she refused, God would have provided otherwise. he finally invited all believers and non-believers, the children of God as well as the servants of Lucifer, to convert reminding everyone that there is only a short time left. From the little flock of the Earth he asked simplicity, meekness, prayer and total trust in God. at the appropriate time God would order the faithful brothers and sisters to become openly visible to the whole humanity of the Earth. We have arrived to the present days; you can see how many things have occurred in the universe since creation; how much God has done and how much more He will do! With the message of St. Michael the Archangel of 5 January a completely new era has begun for the whole humanity of the universe; our participation must change too. It has to be the participation to the action of God which strongly affects the Earth and for which also our response from Earth is requested. So, our preaching too goes in this direction. We do not want to keep repeating the same things; we do not want to keep calling; we want to serve, communicate, indicate and testimony what God is doing at the moment. The message of St. Michael addresses you who have decided to belong to the new people. The Foundation “Fortress of the Immaculate” has written a booklet that contains the essence of the path of the new people; the houses of the Foundation are indicated because they are points of reference, of communion; they are not meant to be just structures but reference points for fraternal exchange. Our reflection will therefore be turned to you to support your spiritual path. To the others who do not want to follow this path and do not understand you, St. Michael says: “Do not argue with anyone and do not try to convince who does not want to change his life“. We must entrust these persons to God and love them. The central point of the message is the conversion to the living and true God in Jesus Christ. We testimony that in this time Jesus has a free hand to act and God the Father has given Him all the power to reunite the whole universe with Him in order to submit it to God the Father. For this reason the sublime instruments, Mary Most Holy, St. Joseph and the extraordinary instruments are directly submitted to the guidance and authority of Jesus Christ who acts with all His power. The new people are called to enter into this relationship with Jesus Christ, to live this relationship in order to be governed by Him who is living and acting in the people of the whole universe. Even the ordinary services in the Church should gradually be submitted to the direct guidance of Jesus Christ. In the end, all the people will be led to this kind of relationship with Jesus Christ to live with the living and true God. The whole people will be taken to the mystical union with Christ and there God’s glory and the glorious Christ, Who will take the people to the new creation, will manifest themselves. 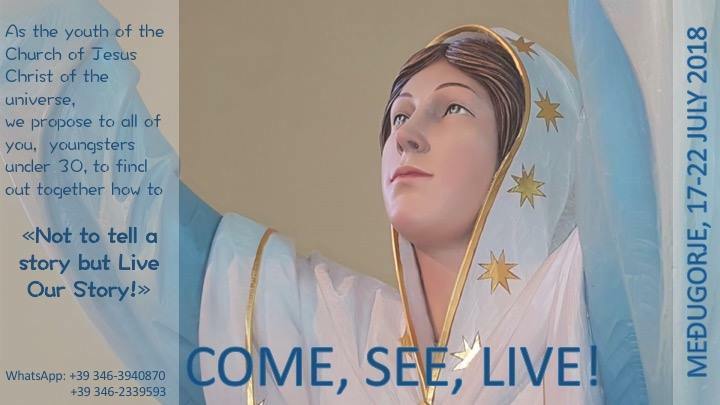 The whole people will be united to Christ in the same way as Mary Most Holy and through Her Immaculate Heart. What does that mean, what does that involve? Belonging passively to religious structures is not enough, nor can religious structures be the central point. The central point is Jesus Christ who continuously introduces us into the life with the Father, with the power of the Holy Spirit. This is the compulsory path for those who wantl to enter the new creation; the path has to be accomplished. A superficially Christian is not enough; nor is it is enough that a large part of the religious world is Christian and that all religions are considered to be equal. Respect and love towards all is a different thing. Yet, the identity of the Christians must stand out and manifest the living Christ. This is the Christian testimony. In this sense every one’s free desire to join this programme is requested individually and in fraternal communion; it is not enough to respond just individually. We will enter all together in the new creation. Consequently, on this path the relationships among Christians must be focused on the centre: the Holy Spirit, the Spirit of Christ. No one will remain indifferent. The Trinitarian action through Jesus Christ will push everything to the climax in order to take the children of God into the new creation. Lucifer too, through the false prophet, through the Antichrist, will trigger a war against those who wish to reach the new creation. Then, in fact, these two actions and their consequences will be felt in the whole universe. All souls will be touched, good or bad; all will have to make a choice and it is therefore of fundamental importance to make a clear, limpid decision in the manner of three pillars that has been explained to you: the offering of your life through the Immaculate Heart of Mary; the righteous, immaculate, correct life before God; the fraternal communion. Living in this manner always leads us to get closer to the glorious coming of Christ, but at the same time, inevitably, also to the to time of the manifestation of the false prophet, the Antichrist. Both the false prophet and the Antichrist are already present but he action of the people of God who choose Jesus Christ, as has been explained, will force the Antichrist out in the open. The event of the evangelisation of the low universe is the last event and it will force the Antichrist to come out. St. Michael turns to the entire humanity and the men of good will; he turns to the believers, to the Christians, to the representatives of the Christians because the religious structure on Earth is made in such a way that all has been delegated to the representatives of the Church and the people remained passive. That cannot remain like this anymore. The people must be active otherwise they will neither be transformed nor become adult, constructive and positive. Consequently, the representatives of the Christian confessions cannot function well either, as St. Michael has explained very well in the messages we have quoted. This message of St. Michael contains a very serious, actually prophetic point for this year. St. Michael says about the representatives of the churches and for the Christians: “They will have to choose between Jesus Christ and their ambitions, between the Almighty and the powerful. If they refuse to do it, or if they take wrong decisions, the Catholic Church will split and the other confessions will fall into total confusion. On the contrary, the Christians who love and serve faithfully Jesus Christ, whatever confession they belong to, will be drawn towards the new people that is forming in the whole universe; that will be God’s Church, one in the whole universe without any divisions and falseness. The others will follow the path they will have chosen, but I tell you that they will be easy prey for the Antichrist and for His false prophet.” You will be able to verify this announcement of St. Michael’s in this year. I wish you not to be late, not to miss this event, not to find yourself in it without knowing which side to choose. Act now. What does St. Michael mean? St. Michael has never criticised anybody. He has made appeals over appeals. Apart form Mary Most Holy, he especially appealed repeatedly to the Church of the Earth, the Christians of the Earth and humanity. As a matter of fact, all have to submit directly to the living Christ; the law is the same for the first and the last within the Church! From the last to the first and from the first to the last. These are spiritual laws; the Church, and consequently humanity will be taken to another dimension; it will do a qualitative leap. All the people, not only the representatives, ought to express with unity, freedom and awareness their submission to Jesus Christ and bear witness to Jesus Christ. Here, human rules are no more valid. Jesus Christ will manifest himself alive; He will appear alive. He was alive among us; He lives within us through our faith. Now is the time to enter into an ever deeper relationship with Him to be able to counter the forces of evil. This road will lead us to our destiny; every Christian and every Christian community is designed to reach the immediate knowledge and the beatific vision of God and the action of God: contemplating God and contemplating His action in the whole universe. In spring the farmer will not instruct the plants by saying, “You have to do this or that”; the plant knows since it has a biological memory. The Christians have to know their God, the Saviour, and live in His living presence in order to pass it on to others, to testimony Him to others. In every Christian the divine creativity is to develop; it will lead us to the new creation and to the collaboration with the Creator, that is, to the act of governing with God in favour of all creatures. I beg you who follow these programmes not to consider your participation and your mission as well as yourselves as a separate Church but as people who want to live Jesus Christ in the way He revealed Himself to the humanity of the Earth, in the way He wants to lead the entire humanity of the universe to the fulfilment of His promises. All promises must be fulfilled; He is the true Witness. So, you shall wish to live a Christian life; however, you should not live like that to make use of God but to serve God, to serve His laws and to live according to His laws. This people must become a people living in God. All saints had to do this journey, and they had to fight their battle. No one can spare us from the struggle like no one could remove the cross from the saints. The greatness of the saints lies in the fact that they remained faithful even when they were under the cross. Show that you are true Christians; proceed seriously on your path so that Jesus Christ may transform you and introduce you in the new creation in the end. Feel that you are responsible participants in the work of Jesus Christ which is fulfilled through His witnesses throughout the universe. You can follow this path in communion with them. We are with you with our prayer; we will always give you our testimony, show you the events and help you go towards the living Jesus Christ. Never allow anyone to take the place of Jesus Christ in your soul! No matter how holy their names may be, no-one shall replace in your soul Jesus Christ who governs the entire universe. All servants and all entities should support you in this respect. Make sure you do not cling to the means leaving the Lord of the universe out of your life. That would be a catastrophe for you. I bless you; may the Spirit who proceeds from the Father to the Son place in you abundant graces; may He who is the guide of all souls, of the whole people of God, become so present and powerful to lead you to the living Jesus Christ and with Him to God the Father. May the Spirit of Jesus Christ guide you in this time, provide you with discernment and defend you from evil. And, we too offer ourselves and increase the communion with all so that our united response from Earth along with all the children of God may be lifted to Jesus Christ; in the name of the Father, of the Son and of the Holy Spirit. 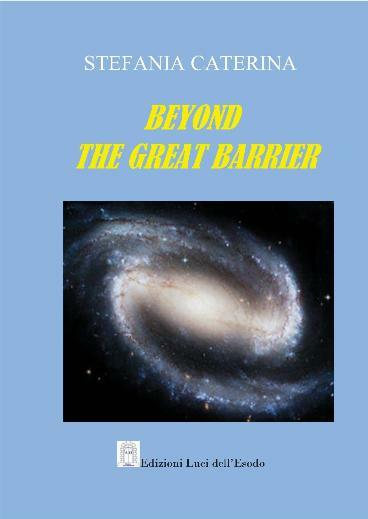 The issue of baptism has been explained thoroughly in the book “Beyond the Great Barrier”, chapter 9. Cfr. Message of St. Michael the Archangel of 29 November, 2013, entitled “Do not be afraid little flock …” published on the website http://towardsthenewcreation.com. To deepen the issue of immediate knowledge see the book “Riscrivere la storia – vol.I – Nel pensiero di Dio“, chapter 5, Luci dell’Esodo (only available in Italian so far).